RyanAir launches new Larnaca - Brussels route - only €19.99 ! Ryanair launched a new route from Larnaca International Airport to Brussels, Zavantem, on Monday. The new route will run twice a week, every Monday and Friday. A flight arrival ceremony was held on Monday morning at Larnaca airport for the launch of the route from Brussels and the airline’s passengers were well received by both Ryanair and Hermes Airports officials. Ryanair Eastern Mediterranean Sales and Marketing Director Chiara Ravara and Hermes Airports CEO Wes Porter cut the ribbon inaugurating the new flight. “Ryanair is pleased to return to Larnaca Airport, with a new route to Brussels, offering even more possibilities for Cypriot customers to discover the beauties of Belgium,” noted Ravara. She added that “our Cypriot customers can still expect more upgrades in coming months in the form of new aircraft interiors, new uniforms and more routes in keeping with the program ‘Always Getting Better’, while continuing to offer a lot more than simply the lowest fares”. Ravara also said that “to celebrate our first flight from Larnaca to Brussels Zaventem, we are offering seats from only €19.99 for travel in February, available until midnight of Thursday (January 21)” by booking via the airline’s website www.ryanair.com. 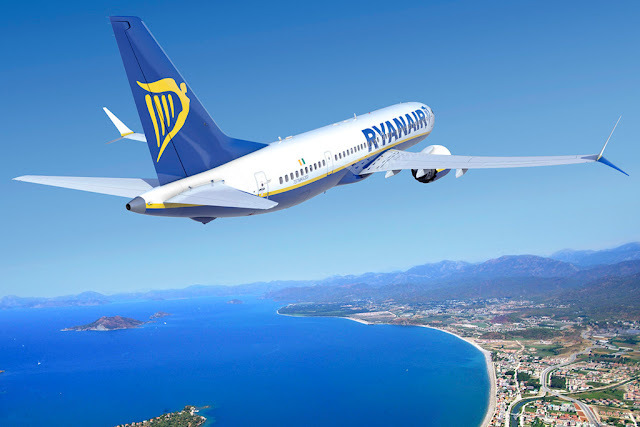 For his part, Porter said Hermes Airports were “very pleased with the decision by Ryanair to return and strengthen the airline’s presence at Larnaca Airport even more”.